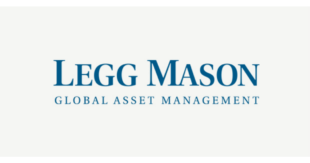 While there is still much uncertainty surrounding UK credit with regards to how the country will move forward with Brexit, Gordon Brown, Co-Head of Global Portfolios at the Legg Mason affiliate Western Asset, sees reasons to be optimistic. He said “UK credit spreads are back to levels above where they traded prior to the Brexit referendum in 2016. Similar to sterling and UK gilts we believe there is scope for UK credit to react positively to the avoidance of a “no deal” Brexit and for spreads to tighten from current levels. “On balance our base case scenario is a ‘deal’ whereby Parliament will ultimately support the government’s ‘Plan B’ but either under this outcome or an ‘extend’ scenario the probabilities are tilted towards a softer or later Brexit. Consequently the probability of a hard ‘no deal’ has fallen.